This beautiful and modern apartment is located on the south side of the Korčula island. 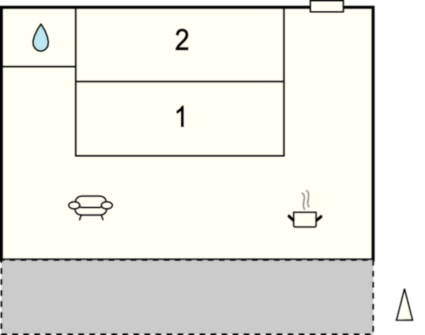 The apartment is situated on the 2nd floor of a family house. 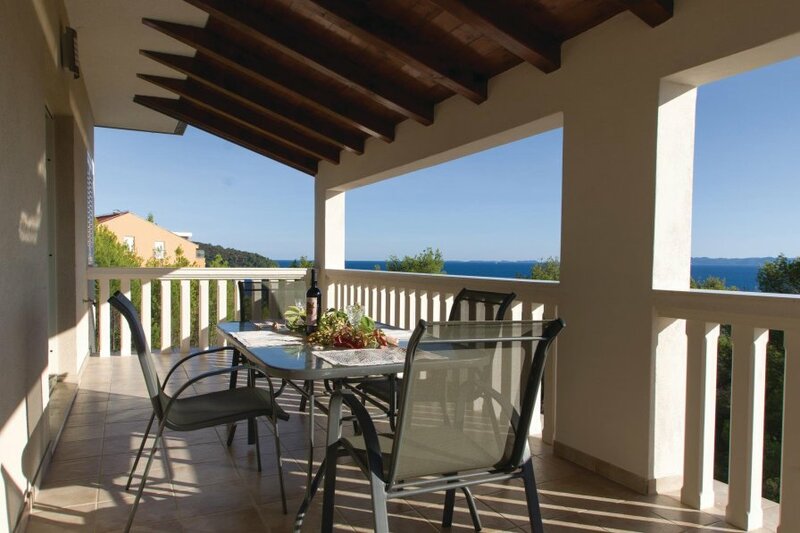 This beautiful and modern apartment is located on the south side of the Korčula island. The apartment is situated on the 2nd floor of a family house, on a hill from where there is a panoramic view on the neighbouring islands. The apartment is equipped with modern furniture and from the living room and kitchen you go onto the balcony where you will surely spend a lot of time during your holiday. In front of the house there is a moderately busy road joining places Uvala Brna and Prižba. After crossing the road, you find a path leading to the crystal sea and a rocky beach. This beautiful modern apartment is made from brick or stone and was recently built in 2009. The agent has rated it as a four star property so it is a well-equipped apartment with above average furnishings. It is also great value for money. This apartment has beautiful panoramic view over water; it is also only 13km from Blato. It is set in a very convenient location, just 40 metres away from a rock bound coast. There's also a restaurant 1.5km away. You can also park on-site at no extra charge. The apartment is adequately equipped: it has a refrigerator and shared washing machine. It also has a barbecue and some garden furniture outside.